The somewhat tumultuous truce recently reached in Ukraine has received a little support this Monday in the form of two unarmed drones, according to officials. These drones job will be to help monitor the truce in an effort to promote its success. Throughout the past month, the cease-fire between pro-Russian forces and the Ukraine Military has helped stem the tide of violence, but not all fighting has ceased. This is particularly true of Donetsk and the surround country side as the pro-Russian rebels currently hold that city. According to city officials, Donetsk experienced 20 more woundings and 7 more deaths this past weekend. A spokesperson for the Ukraine Military also stated they had killed 3 and wounded 9 more. Additionally, this past week, a Red Cross employee from Switzerland was killed in Donetsk. Talks are currently taking place concerning broadening monitoring missions by the Organization for Security and Cooperation in Europe (OSCE). According to official word from the Kremlin, OSCE chief Didier Burkhalter met with Vladimir Putin, Russian President, on Monday in a meeting that resulted with both parties agreeing OSCE’s monitoring efforts should be expanded. 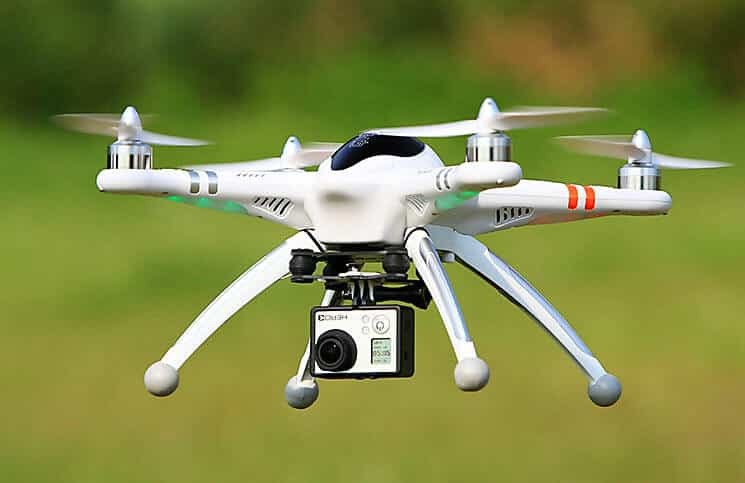 The new drones are from Austria and are currently undergoing the necessary customs procedures and will be deployed after they are cleared according to Col. Andriy Lysenko, official spokesman for Ukraine’s Security Department. In addition to these two drones, both Germany and France have expressed interest in sending more drones if they can help the cease-fire efforts. The US has also shown interest in supporting the current cease fire. Assistant Secretary Victoria Nuland and Ukraine President Petro Poroshenko met to discuss the situation and the offer of US support. With offers of support and drones from Germany, the US, and France, the question of what kind of drones might be sent in becomes interesting. The new German model, “Luna,” drone is one that hold interesting possibilities for the situation in Ukraine. The LUNA Military UAV is a high-performance powered reconnaissance glider. It’s made of a glass fiber composite that is ideal for low radar, thermal, and acoustic signatures as well as the added benefits of being lightweight and highly durable. It features several unique abilities like gliding without the assistance of engine power to make it nearly silent and can restart its engine at any time. It also has the ability to transmit data via real-time microwave communications. The LUNA can also run completely autonomously without needing any radio or other transmissions from the control station. It also utilizes a portable lightweight bungee catapult that is completely noiseless so it can be launched from nearly any terrain with no need for a runway. The unit’s recovery is autonomous as well and can work with either a net or a parachute. The LUNA drone is first-class, easy to use, all-weather, UAV with real-time reconnaissance, surveillance, and location abilities with a range of over 100km and options of 6 or 8 hour life. It’s built for multiple payloads and is currently being used in many countries and climates around the world to support peacekeeping efforts. It’s ability to get the job done in places like Afghanistan and Kosovo speak to its ability to operate in intense climates, challenging terrain, and severe weather. The LUNA UAV drone is both reliable and cost effective for civilian and military installations. Perhaps the best aspect of the LUNA is that it combines ease of use with power and versatility. Navigating the LUNA can be fully mastered in a few short weeks with no need for previous aeronautical training or skills. Combine this with the LUNA’s superior capabilities when compared to most military drones and it starts to stand out. This lightweight, fully featured and portable, launch from anywhere UAV drone is the head of its class. Another unique feature of LUNA is its inherent crash safety due to its glider performance and its reliable parachute release and landing system. In addition the LUNA UAV flight is permanently monitored by an autonomous terrain and obstacle collision avoidance system using 3D digital map data. drone to missions behind mountains. The use of UAV drone LUNA, however, is not limited to electro-optical observation missions. Due to its modular payload concept LUNA can be fitted with future state-of-the-art payloads, including but not limited to: Synthetic Aperture Radar (SAR), high resolution digital photo or video cameras, onboard data storage, meteorological sensors, radio relay equipment, sensors for land mine detection, EW payloads, gas and particle samplers, or radioactivity contamination sensors.